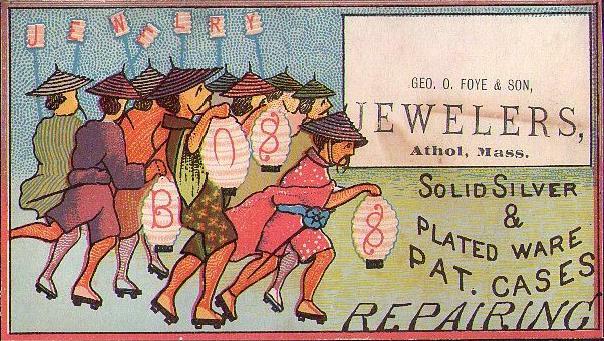 Jewelers, which is still in business today. Springfield, OH 1872-1907 Continued as C.C. 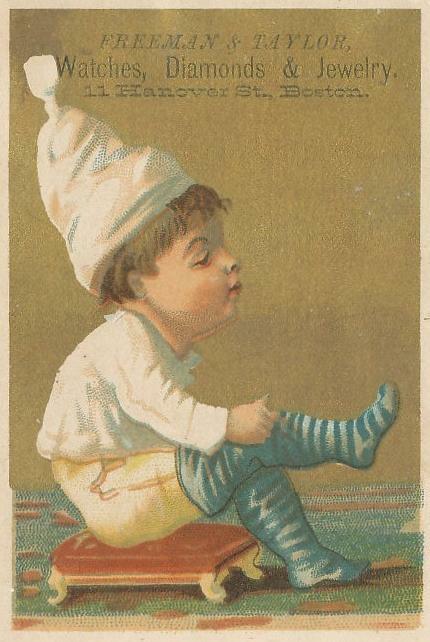 Fried & Sons Co. until 1940. 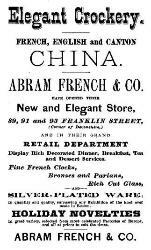 Julian Augustus Fogg / Julian A. Fogg & Co.
to Bassett, French & Co. Importers and fancy goods merchants. Athol, MA c. 1885-1929 Jewelers. 1890-c. 1900 Had a branch location in Reno, NV. made for them by other companies and bear the Frederick & Nelson name. St. Louis, MO c. 1840-1848 Fancy goods merchants. Cincinnati, OH c. 1853-1861 Manufacturing and wholesale jewelers. 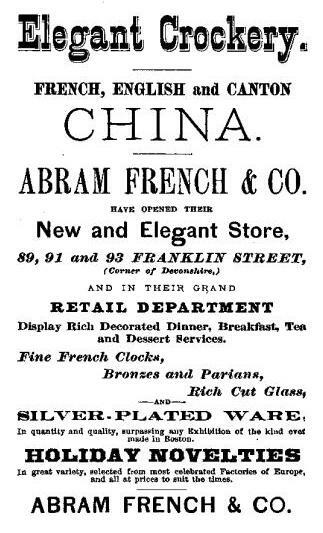 Waltham, MA 1842-1859 Watchmaker and jeweler. Worked as superintendent of the American Watch Co. factory 1861-1876. New Orleans, LA 1898-1902 Jewelers. Phineas and Edgar Fries, watchmakers and jewelers. Lawrence, KS c. 1856-1869 and 1870-1877 Watchmaker and jeweler. Jeremiah Foster and William E. Blanchard, jewelers.